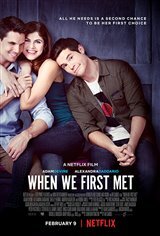 Noah (Adam Devine) spends a perfect night with Avery (Alexandra Daddario), but ends up being put in the friend zone. Three years later, he still regrets that night and makes a wish in a magical photo booth. He is then sent back in time to redo the night over and over again, until he gets it right.